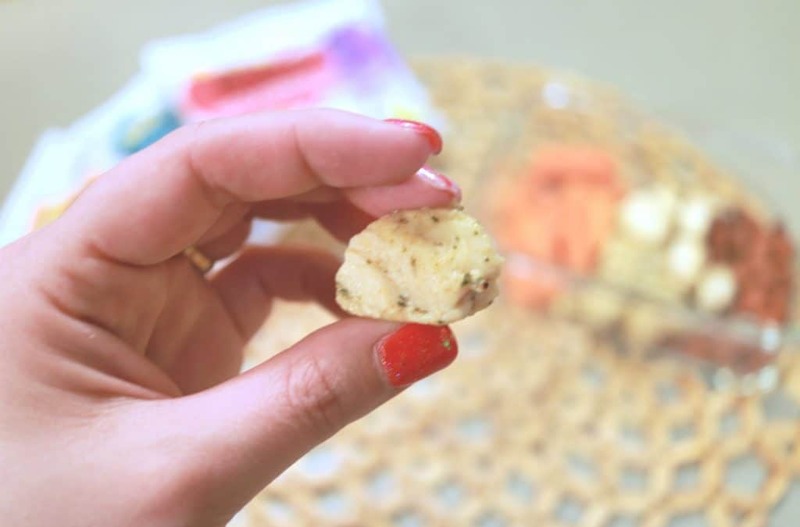 Is snacking derailing your goals this year? 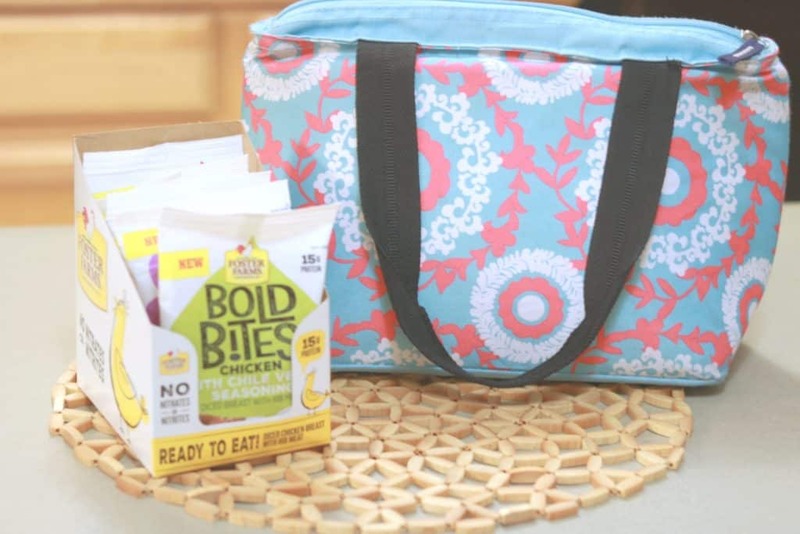 Check out how I am making better choices and the easy ways to meal prep snacks with Foster Farms Bold Bites. Disclosure: I am partnering with Foster Farms. All opinions are my own. I am the queen of snacking. Just today I was getting out of my car and my friend saw the side pockets of my doors and all the snacks that I keep on hand. Whether it be something for the kids or something to boost my blood sugar or calm that craving, I always have a snack at hand. The problem is that my snack attacks are not always the best choice. As a diabetic, having those snacks on hand is very important, but I also need to be cognizant of the fact that those snacks need to be full of protein and good fats. 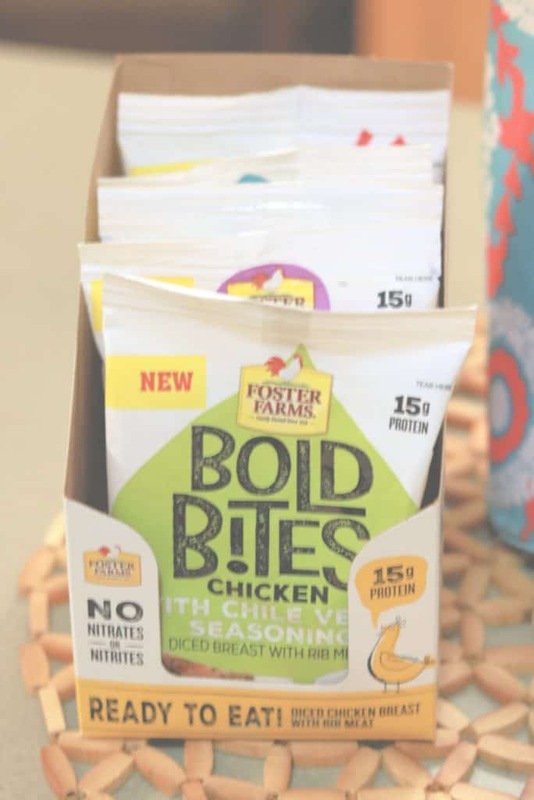 I recently stumbled upon these Foster Farms Bold Bites and saw that not only were they full of protein (15 grams!) but they were also snack size and came in some delicious flavors! 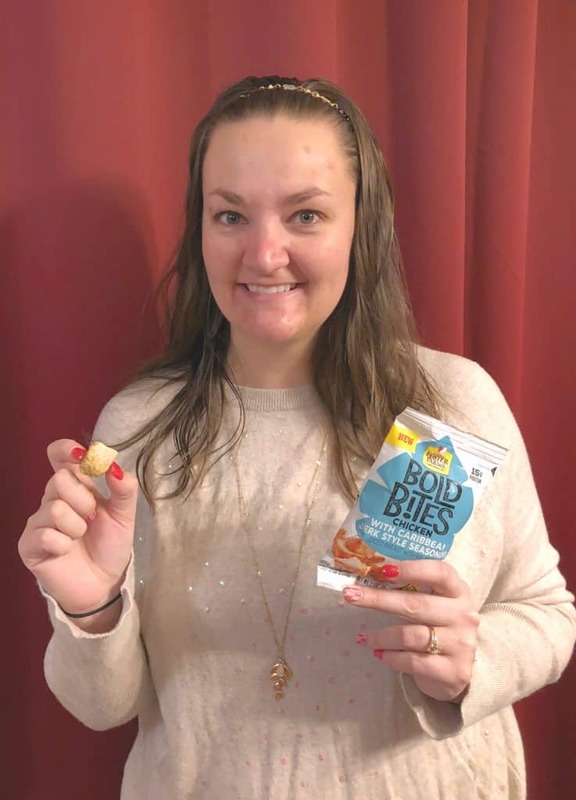 Finding the Foster Farms Bold Bites in the store, gave me an idea! I need to meal prep snacks too. I am always so proactive an organized about our weekly meal plan and my lunches for the week. However, I never plan for those snack attacks, so it was time to put a little effort into making some better snacking choices. I created 5 different snack attack bowls that I can grab and go. My choice today was the Chili Verde Bold Bites with almonds and carrots. Each bowl includes one of the 5 flavors of the Foster Farms Bold Bites and some other things I included in my bowls were cheese cubes, cashews, celery with peanut butter, dried fruit, granola clusters and yes even a little dark chocolate. Snack prep took a total of 5 minutes and I now have snacks for each day that I can grab whenever the feeling hits and make much better choices. I love the variety, I love the ease and honestly how portable everything is. You can also leave the chicken in its little baggy if you prefer as they are super easy to take anywhere with you. What are these Foster Farms Bold Bites? Little bites of heaven people. These flavorful bite sized chicken bites are chocked full of the good stuff. They include NO artificial flavors, colors, nitrates or nitrites. They are protein packed and ready-to-eat chicken breast bites. You can find them at your local retailer (I found mine at Target) in a few states nationwide. Click here to see if they are available near you. They make the perfect on the go snack and are really a great option if you are working on making better choices this year. 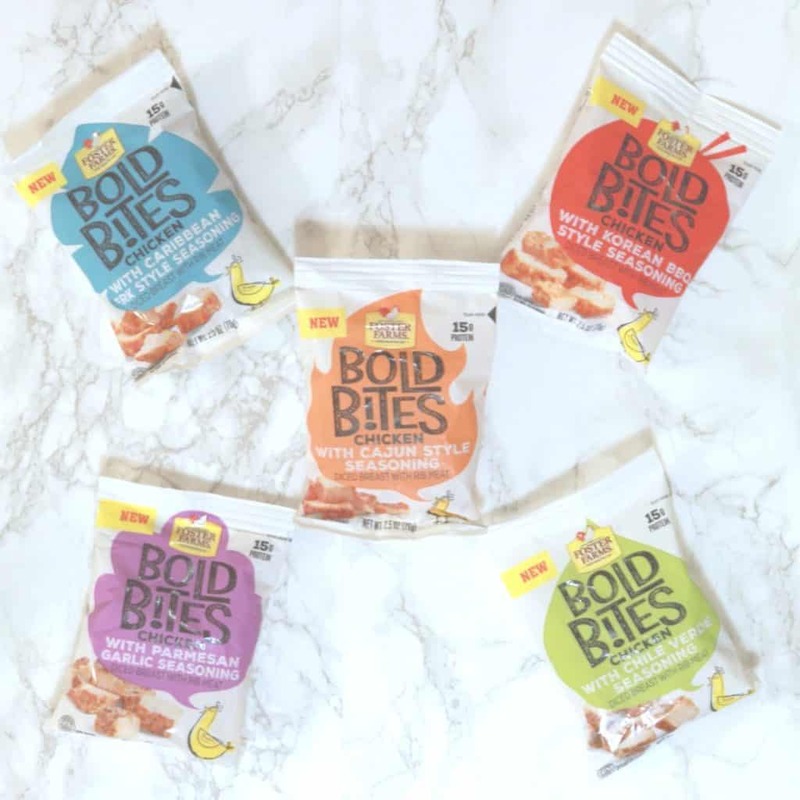 I am so excited to continue my easy and delicious snack prepping and glad that I stumbled upon these tasty Bold Bites! 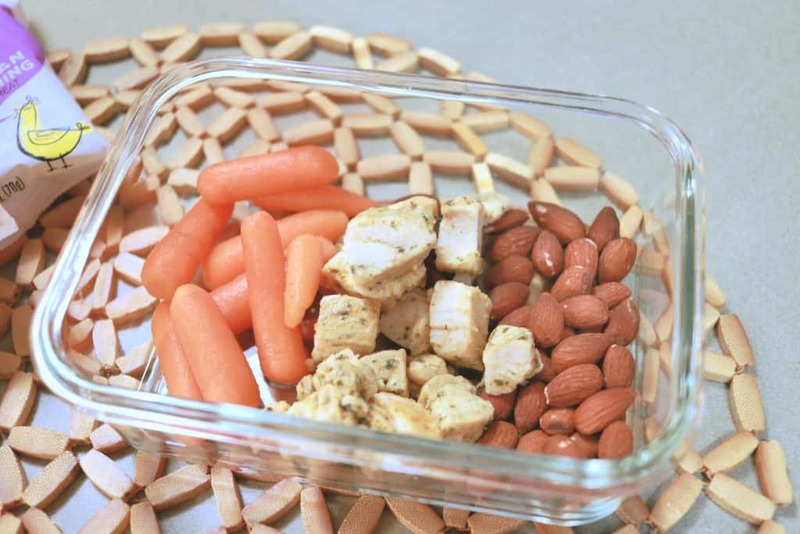 Are you Ready to Meal Prep Snacks too? Boo! I can’t get them in Minnesota yet. MOVE BACK HOME  They should be expanding into other states soon. They are SO yummy!